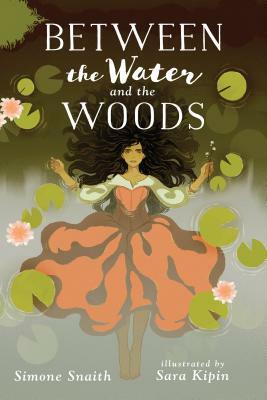 An illustrated fantasy filled with beauty and power, Between the Water and the Woods sweeps you into a world where forests are hungry; knights fight with whips; the king is dying; and a peasant girl's magic will decide the future of the realm . . . Seven full-page black-and-white illustrations accompany Between the Water and the Woods, a lush, fairy-tale-style fantasy perfect for readers of Karen Cushman and Shannon Hale. Simone Snaith is originally from Louisiana but now lives in L.A., where she sings in the New Wave band Turning Violet and works as a freelance journalist. She loves sci-fi, fantasy, music, deep forests, and all things '80s. Follow her @schimonie. Sara Kipin is a graduate of the Maryland Institute College of Art's illustration program and works as a color stylist at Warner Bros. Animation. She has also worked at Marvel Animation and Nickelodeon, and illustrated Leigh Bardugo's New York Times bestselling book The Language of Thorns: Midnight Tales and Dangerous Magic. Sara lives in Burbank, California. Follow her @sarakipin.